A transformative and exquisite creation by Anna Biller (who directed, produced, wrote, edited, scored and designed every aspect), this gorgeous-looking tribute to 1960s/70s low-budget horrors, classic American soap operas, Technicolor melodramas and vintage sexploitation aesthetics is an affectionate masterful pastiche with a deft feminist bite. Think Russ Meyer meets Douglas Sirk and Beyond the Valley of the Dolls via ‘Charmed’ and ‘Dynasty’ as lovelorn young witch Elaine (a stunning Samantha Robinson) uses spells and potions to bring her everlasting romantic happiness. Finally meeting her dream man, Elaine’s desperation to be loved drives her to the brink of insanity and murder. 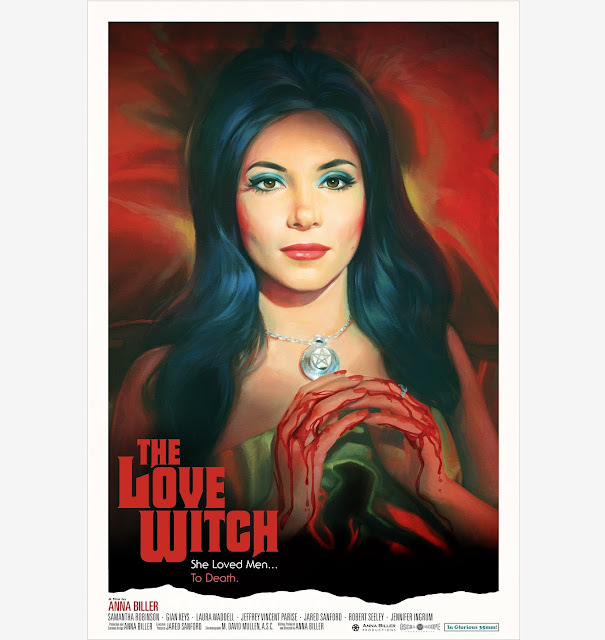 THE LOVE WITCH will be in U.K. Cinemas, VOD, Digital HD, DVD and Blu-ray from 10 March 2017 and is being distributed by Icon Film Distribution and FrightFest Presents.